With a great team effort the Arran Natural History Society has got the annual bird report in outlets throughout the island for the Easter weekend. With a stunning photograph of a Stonechat by Brian Couper on the front cover it is yet another eye-catching annual report. 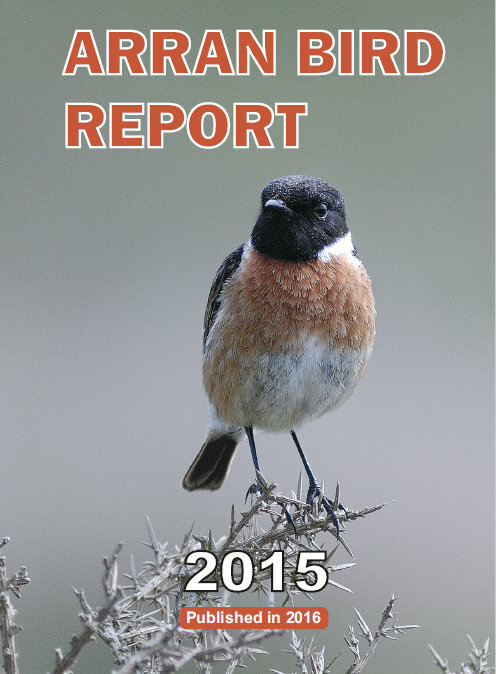 The Arran Bird Report 2015 is a "must" for anyone interested in the birds of Arran. It includes information on all species seen on Arran, a month by month summary of what was around last year, the impact of weather on birds, information on ringed birds and reports on some of Arran's bird projects. The uniqueness of Arran is reflected throughout the report, including the number of UK protected birds that share our island with us, as well as the differences between here and the adjacent mainland. Over three hundred contributors sent in over eleven thousand records on one hundred and sixty-two species, one of which had never been recorded on Arran before. This is the tenth annual report that I have compiled. The first one was compiled by Maggie H. Dunn in 1980. There have been many changes over the years. For example the first report was five pages long, cost 25p and had contributions from forty-five people who recorded one hundred and forty-one species, including King Eider, Roseate Tern, Red-backed Shrike and nine churring Nightjars, none of which appear in the latest annual report. There has been a bird report every year since then. The complete collection of annual reports is available for access from the archivists at the Arran Heritage Museum. Who knows what changes to the annual report lie ahead in this digital age. Bird guides are being published with QR codes for each bird and by using a QR app on your smart phone or tablet you can hold your device over the code and get additional text, photographs as well as bird songs and calls. 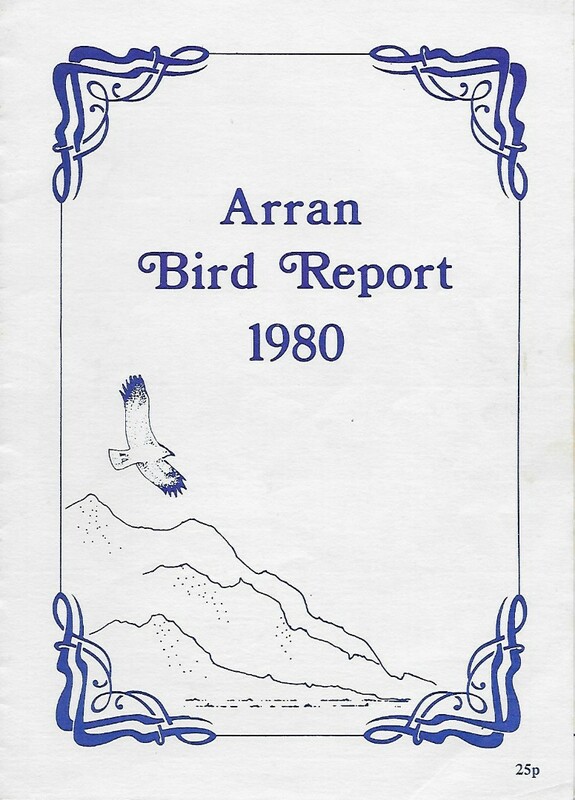 Some of the earlier bird reports are already available as an electronic download from the website http://www.arranbirding.co.uk/annual_bird_reports.html At present there seems to be a demand for the printed form of the annual report but I wonder for how much longer.